Discover new insights, root causes and unseen trends across the product lifetime. Combine, analyse and visualise data from all possible sources. We work with you to determine which modules you need. 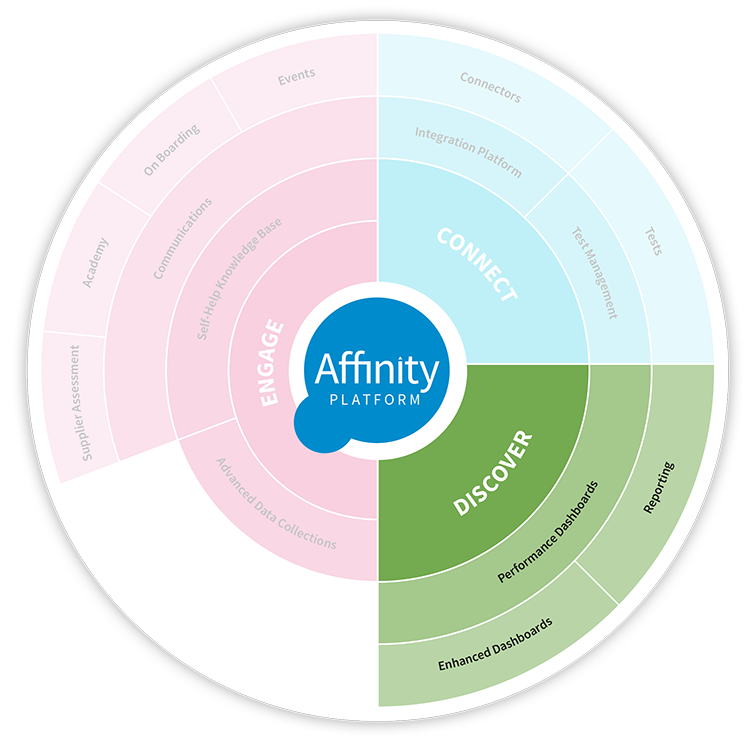 Visualise and analyse all the data from across Affinity in a single user-friendly view with dashboards customised to specific needs. Visualize and analyze all the data from across Affinity in a single user-friendly view with dashboards customized to specific needs. Dive deeper into the data with advanced visualisation and multiple data sources. Dive deeper into the data with advanced visualization and multiple data sources. Create custom reports and data extracts to fulfil external reporting requirements. Use Discover to collect all data and multi-channel feedback about own brand products in one place. Use Discover to collect all data and multi-channel feedback about private brand products in one place.